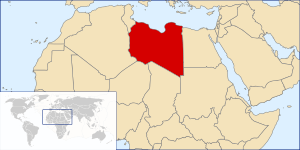 ← Libyan rebels do it from scratch…and from their arm chairs. It’s the American way. Got a problem? Take it to court. Even if that problem is military action in Libya. While Rep. Boehner is taking a more diplomatic tact by sending a letter to President Obama seeking clarification on Libya, others have had enough and are challenging him in federal court. Is our continued military action in Libya legal? That is the question Professor Jonathon Turley, representing ten Members of Congress, is asking the court to decide. This is an action for injunctive and declaratory relief. In addition to challenging the circumvention of express constitutional language, it will also challenge arguments that no one (including members of Congress) has “standing” to submit this question to judicial review. These members will ask the federal district court for review of the constitutional question and for recognition that the Constitution must allow for judicial review of claims of undeclared wars under Article I.
via Members of Congress Challenge Libyan War in Federal Court « JONATHAN TURLEY. The Congressional members in the suit are from both parties and include Representatives Roscoe Bartlett (R., Md); Dan Burton (R., Ind. ); Mike Capuano (D., Mass. ); Howard Coble (R., N.C.); John Conyers (D., Mich.); John J. Duncan (R., Tenn.); Tim Johnson (R., Ill.); Walter Jones (R., N.C.); Dennis Kucinich (D., Ohio); and Ron Paul (R., Tx). This entry was posted in Article I, Section 8, In Ius Voco Spurius and tagged Dan Burton, Dennis Kucinich, Howard Coble, In Ius Voco Spurius, John Boehner, John Conyers, Jonathon Turley, Libya, Mike Capuano, President Obama, Ron Paul, United States Congress, War Powers Act. Bookmark the permalink.